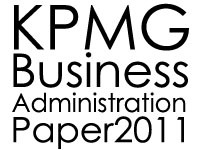 KPMG Business Administration Paper 2011 is now open for registration. Business Administration Paper (BA Paper) is an inter-university business plan writing competition held annually by HKFBS. This year, the theme for the competition is "Tomorrow''s Avant-garde". Stepping Stone to Success Scheme 2011 - Firm Visit to Bloomberg L.P. The Firm Visit to Bloomberg L.P. is now open for application. HKFBS and EntreNet is proud to present the Investment Bank Interview Workshop to equip you with interview skills specific to investment bank interviews. Hong Kong Federation of Business Students (HKFBS) is looking for a group of talented business students to represent all the business students among the 9 universities in Hong Kong. HKFBS is the sole organization serving the widest spectrum of business students in Hong Kong. Being an Executive Committee member of HKFBS, you will have the chance to serve more than 10,000 members and voice out your opinion on behalf of your university. The Stepping Stone to Success Scheme 2011 - Executive Roundtable for Elites is now open for application. Executive Roundtable for Elites allows students to have chances to meet and interact with different well-known business leaders in small groups. Through this programme, we aim to provide a direct platform for business students to learn and exchange ideas with the suggested themes. Wine Tasting Workshop, co-organized by HKFBS and Crown Wine Cellars of Crown Worldwide Group, is now open for registration. Our Wine Tasting Workshop offers you an opportunity to learn how to appreciate wine and equips you with the knowledge of wine tasting in today’s demanding business atmosphere. Professional Grooming & Image Workshop is co-organized by HKFBS and Make Up For Ever Academy and is now open for registration. The workshop offers you an opportunity to learn the skills of make-up and image-building required in different business formal occasions. Zhejiang Economics and Culture Study Tour - Economic Development and Energy Utilization Conference is now open for registration.